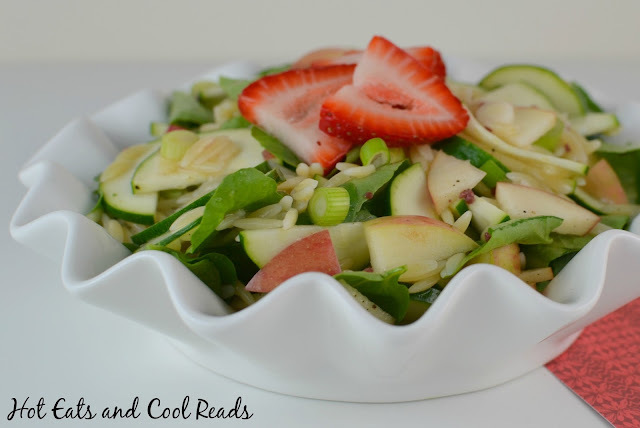 A fresh and delicious summer salad! Perfect side for some grilled chicken or steak! Now that it's hot outside, we've been having salads alot at our house lately. Lettuce salads, pasta salads, potato salads, we've done them all! Orzo just happens to be a favorite of mine right now, and we got some watercress in our Bountiful Basket last week, so that's how this salad was created! I've never tried watercress before. It has a bite to it, but I really loved the flavor when combined with all these ingredients. 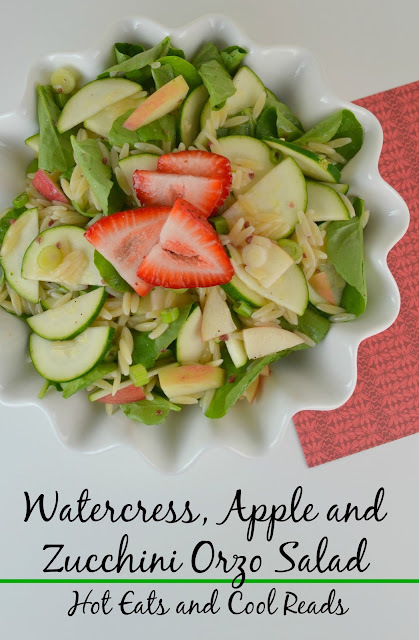 If you don't have access to watercress, this salad would also be great with baby spinach. It's fresh, filling and great as it is for lunch, or as a side for dinner. This recipe is also approved from my eight year old daughter! The zucchini, apple and green onion came in our basket as well. We added the France basket to our conventional basket last week, and the variety was amazing! This program continues to exceed my expectations and I love having it available in our area. You can visit their website here to see if there's a location near you! Have you tried watercress before? Thoughts? Combine watercress, apple, zucchini, orzo, green onions and strawberries in a bowl. Toss with vinaigrette. Serve immediately. What a refreshing looking meal! I don't use watercress often and now I want to give this a try so I can remember what it tastes like! This salad looks perfect for this heat we are already having here in Oregon. Pinning for later! I love watercress. I can just imagine how well it goes with the sweet apple and zucchini. 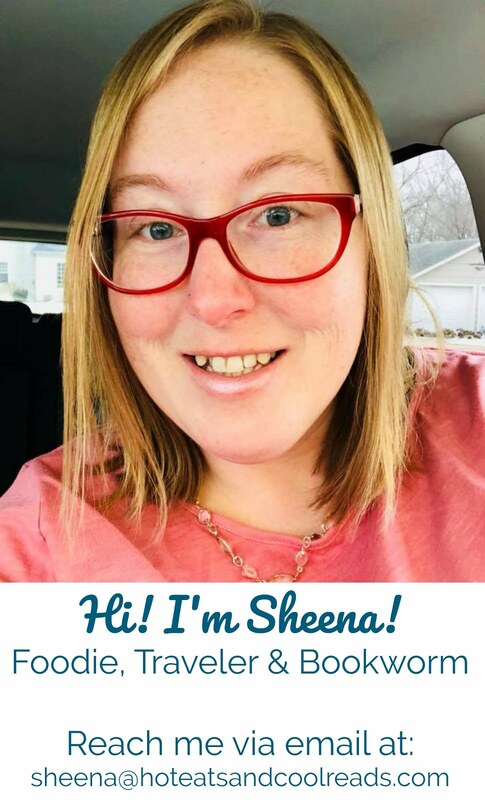 Hi Sheena, I would love you to stop by Food on Friday: Pasta over at Carole's Chatter to add this to the recipe collection! Cheers!